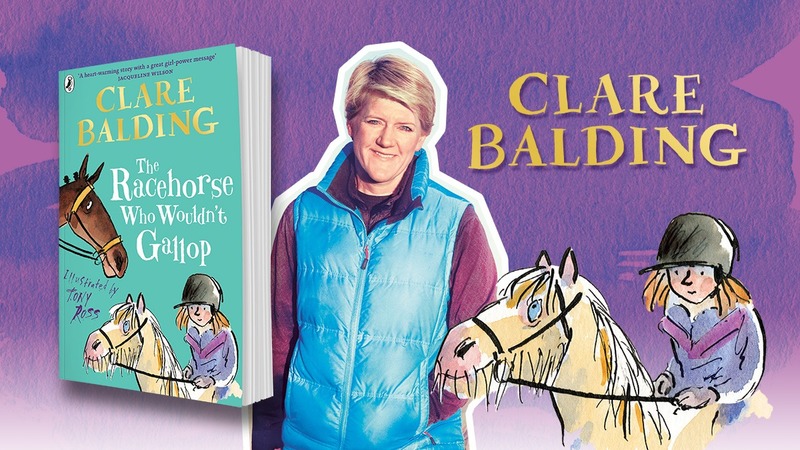 Clare Balding has written a book for children and it's all about racehorses! Clare Balding’s first ever children’s book is now out in paperback! It’s called The Racehorse Who Wouldn’t Gallop. Charlie Bass is a horse-loving ten-year-old who has always dreamed of owning her own pony! So when Charlie buys a racehorse accidentally, she’s very excited! The horse is called Noble Warrior and looks perfect – but there’s a big problem… Noble Warrior won’t gallop! The stakes couldn’t be higher for Charlie and her family… She needs to turn them into a top training team and get her new horse to overcome his nerves! Charlie doesn’t give up. She is sure Noble Warrior has what it takes to be a champion! This book is perfect for animal-loving 7 to 9-year-olds and is the first children’s novel from famous television presenter Clare Balding!